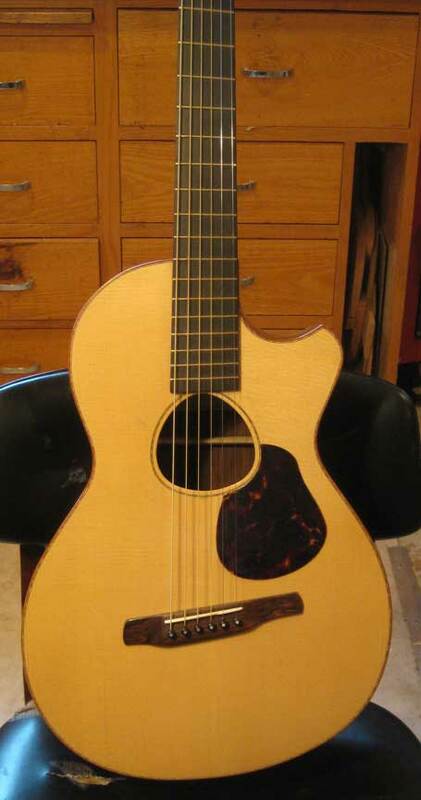 2010 Sexauer JB-0 WRX flat-top guitar made from Dalbergia Tucarensis Honduran Rosewood and Rivolta Italian Spruce. No, it's a JB-0, the first! 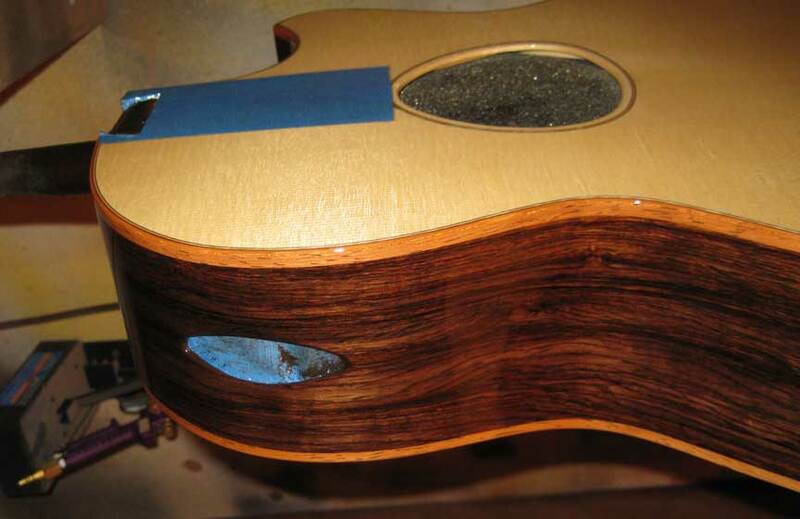 Italian Spruce over Tucarensis HRW, Oil Varnish. 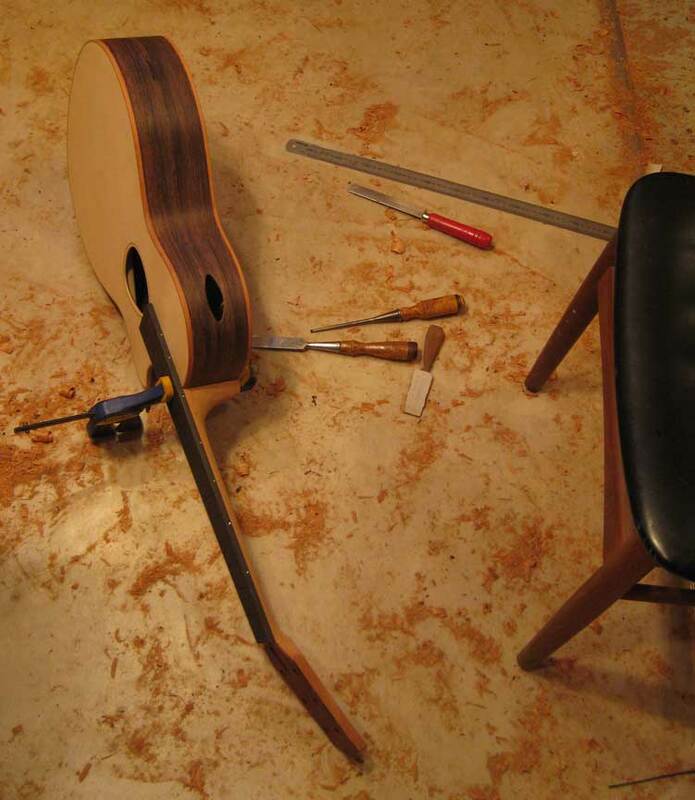 This is my first Sexauer Guitar for 2010, and I am doing a little risk-taking. 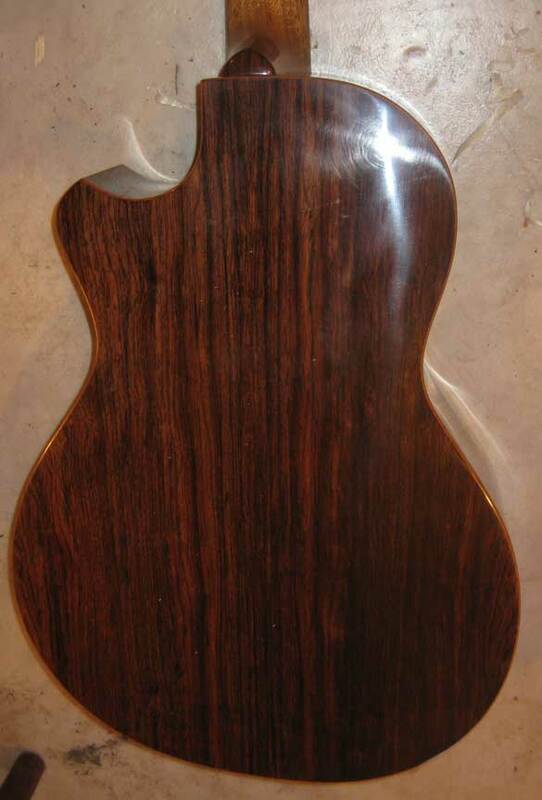 I am having great luck with my "0" guitars, and expect this one will be right in there. 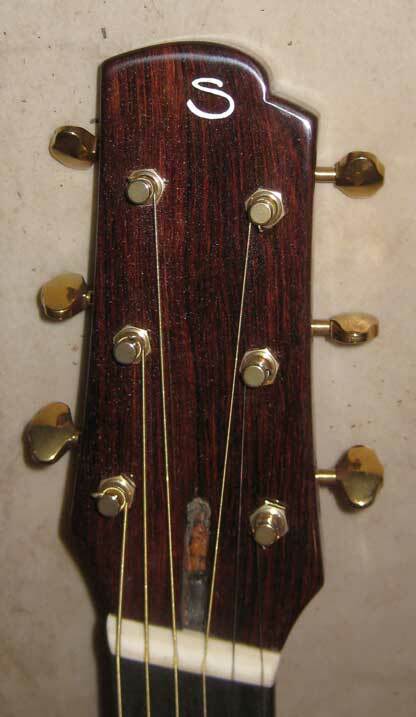 Several firsts are being applied, however, and so the jury is out until I put the strings on. This is my first JB, or fully asymmetric, "0". 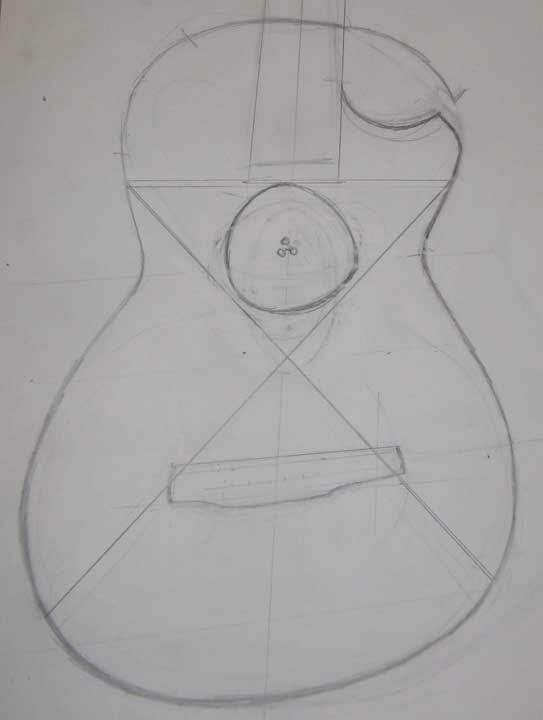 It is also my first sound port guitar of any size.It has been 30 years since I made an other than round sound-hole, like this has.My first "0" size WRX. This one has a 4 piece back and no center strip. 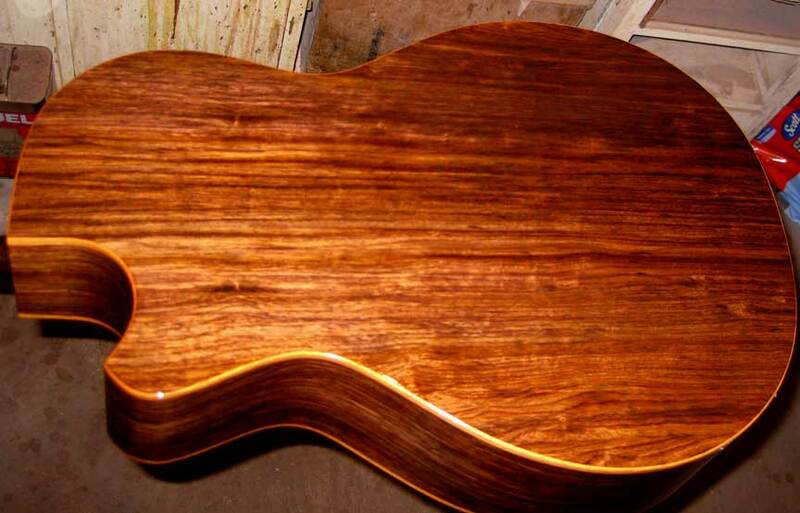 I dare you to try to find the joins. 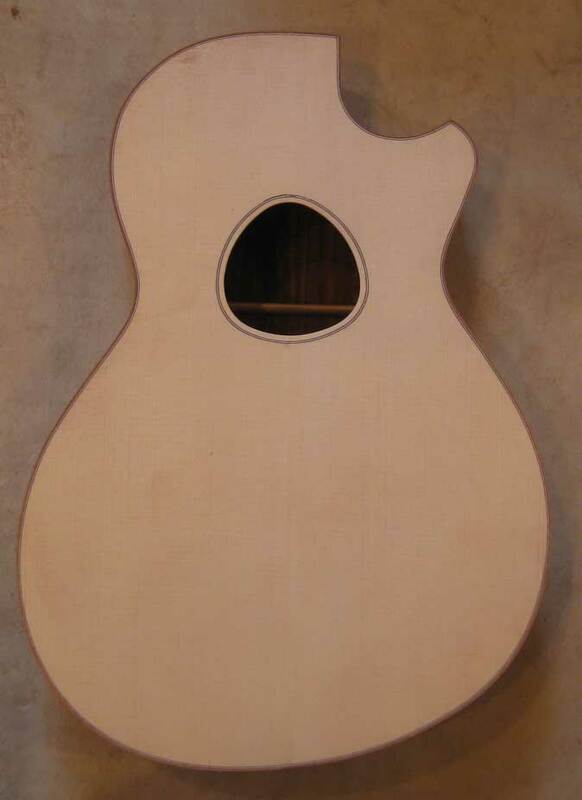 The top is an absolute first rate Italian Spruce top, but as a piece was broken off an edge in storage, I used it on this guitar as the center seam does not go down the center. I expect completion around February 1, 2010. 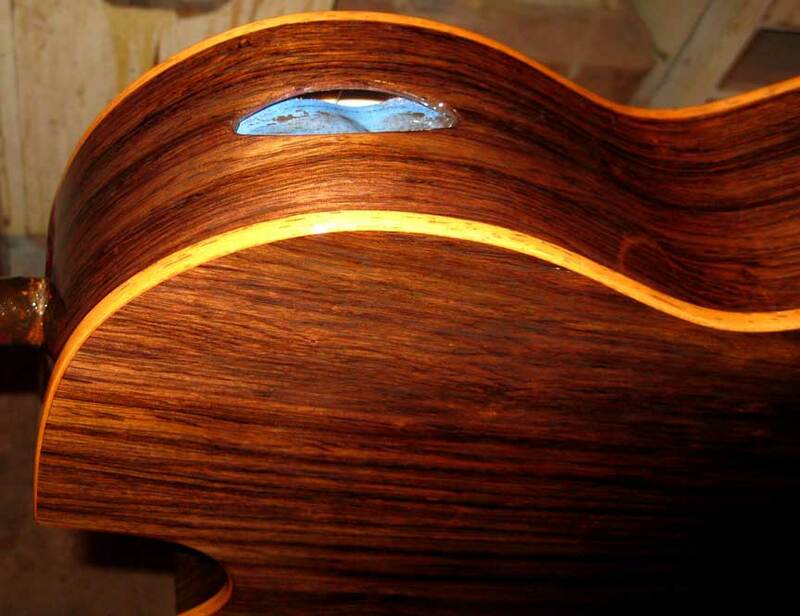 Here's a shot with the pickguard. I made this sketch at the prompting os my customer, Michael Ng.